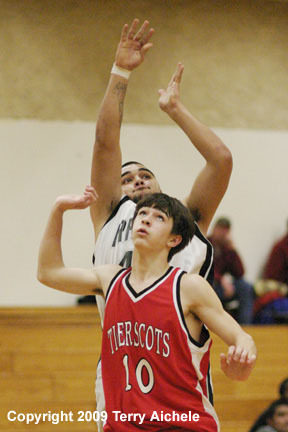 IRRIGON - The Weston-McEwen Tiger-Scots came roaring out of the gate on Friday, January 16, 2009 to defeat the Irrigon Knights 89-44. The first period started out competitively with W-M leading by five, 14-9 with three minutes to go in the period. From that point on W-M pulled away from the Knights to lead at the end of the first 24-13. The Tiger-Scots played a very physical, fast paced game that had them outscoring the Knights 11 to 2 in the first four minutes of the second period. 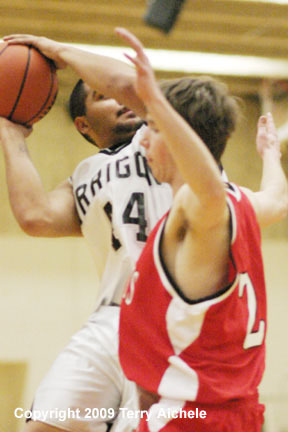 Among Irrigon scorers were Colton Garrett, Ivan Estrada, Dustin Osborne, Scotty McDaniel and Pat Barron. The Tiger-Scots led at halftime 44-25. W-M continued to control the game in the second half. The score at the end of the third period was 62-34. 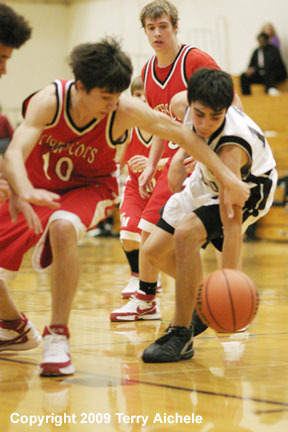 LEFT - Ivan Estrada of Irrigon and Dalla Reich of Weston-McEwen battle for a loose ball. 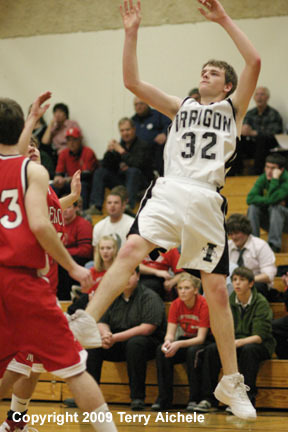 RIGHT - Pat Barron of Irrigon takes a all away jump shot. 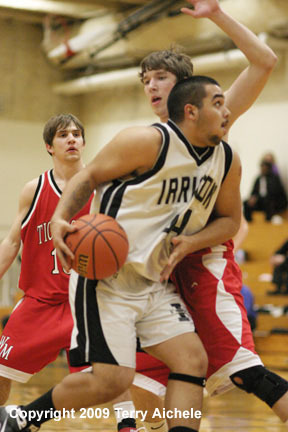 LEFT - Ivan Estrada of Irrigon works way throught W-M defenders. 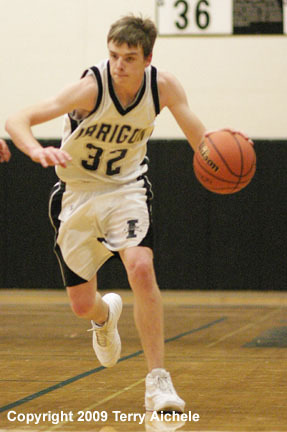 RIGHT - Pat Barron of the Knights with the ball. 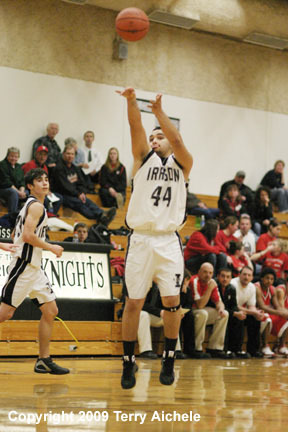 LEFT - Jesus Munoz of Irrigon takes a shot. 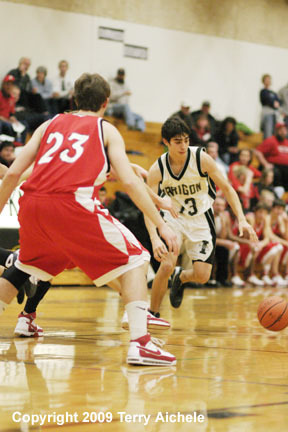 RIGHT - Jesus Munoz of Irrigon attempts a shot while being closely guarded by Dalla Reich of Weston-McEwen.